Shared Resources at MD Anderson Cancer Center provide researchers with access to state of the art instrumentation and technologies run by extremely talented core personnel. Many of our core facilities are available through the UT System Core Sharing Network which is dedicated to advancing research across the State of Texas, and beyond. Some of our core facilities are partially funded by the National Institutes of Health (NIH), Cancer Center Support Grant (CCSG), the Cancer Prevention Research Institute of Texas (CPRIT) or the Bone Disease Program of Texas (BDPTx). In prioritizing use of CCSG facilities, precedence will be given to MD Anderson peer-reviewed investigators. Please cite the appropriate funding source when using these facilities. 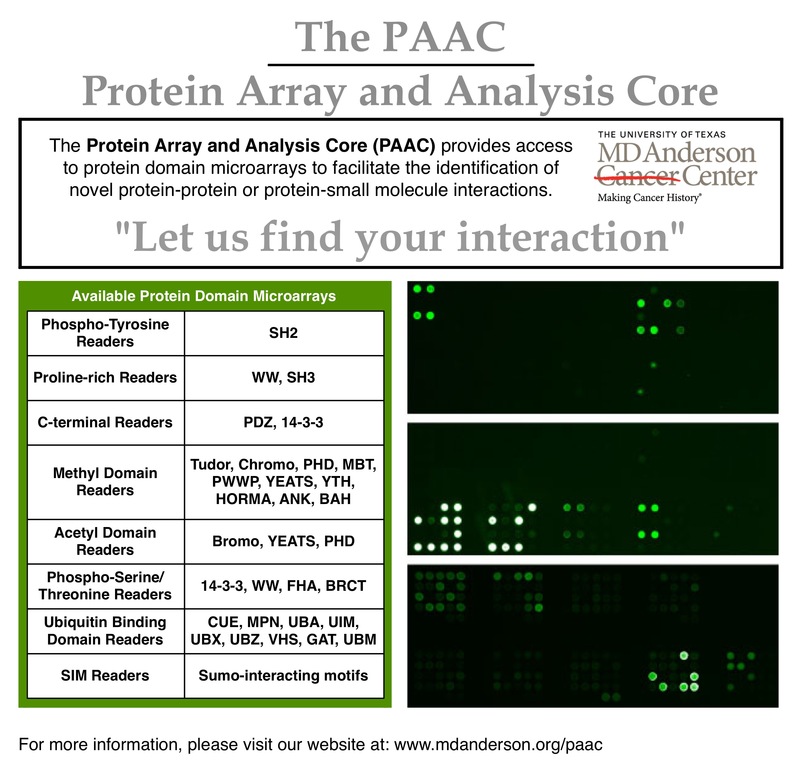 Highlighted Shared Resource: The Protein Array and Analysis Core, core director Mark Bedford.